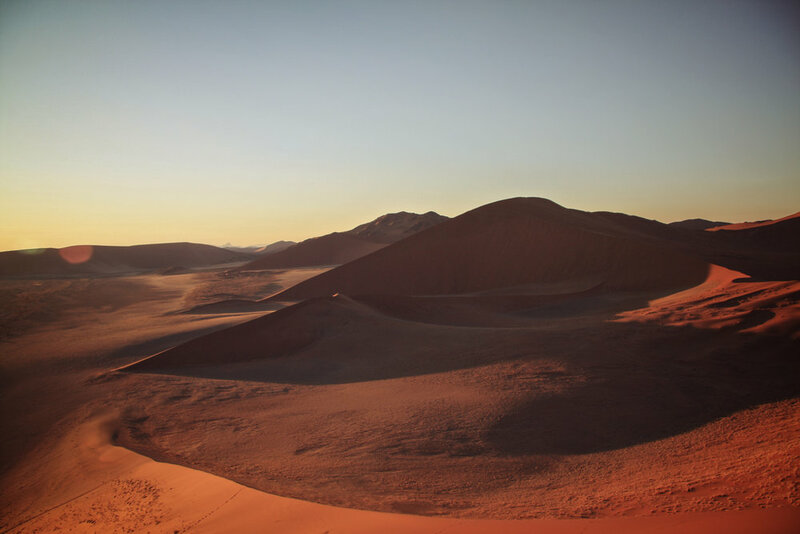 From the cosmopolitan streets of Cape Town to the desert and lunar scenery of Namibia, witness the diversity of southwestern Africa on this nature adventure. Leave footprints on some of the world's highest sand dunes, peer deep into the heart of Africa’s largest canyon, and experience incredible wildlife drives through Etosha National Park. Your knowledgeable CEO will take care of the planning while you recharge in a combination of hotels, camping, and guesthouses for a cultural experience you’ll treasure forever. Have your breath taken away by incredible scenery and marvel at amazing wildlife – this is truly an African experience! Head up the Cape's west coast, stopping at the G Adventures supported !Khwa ttu San Culture and Education Centre. Arrive in Lambert's Bay and opt to visit Bird Island, or stroll through this charming town. Continue north and cross into Namibia. Settle in by the banks of the Orange River with time to swim or just relax. Continue on to Fish River Canyon, the largest canyon in Africa, and take in the majestic beauty. Opt to relax in the hotel's pool while enjoying the beautiful scenery. Travel north from the Fish River Canyon, enjoying dramatic Namibian landscapes as you move up towards Sesriem. Visit Sossusvlei Dunes and Sesriem Canyon. Opt to climb up the breathtaking Dune 45. Enjoy the views of the Namib desert before arriving in the historical town of Swakopmund. Spend a day exploring all the area has to offer. Optional activities include sandboarding, skydiving, and quad biking. Enter Etosha National Park and enjoy an afternoon wildlife safari drive in our touring vehicle. Opt to explore more on an open safari vehicle drive. Arrive in Windhoek and visit the G Adventures supported Penduka Village Restaurant & Shop for an included lunch, then spend the rest of the afternoon exploring the German-influenced capital city. Hotels (6 nts), guesthouse (1 nt), lodges (1 nt), participation camping (4 nts). Allow USD260-340 for meals not included.